This album is a cultivation of relentless passion, creativity and tenacity. His accessible presentation crosses many genres including rock, folk, roots, Americana, folk-rock and pop. 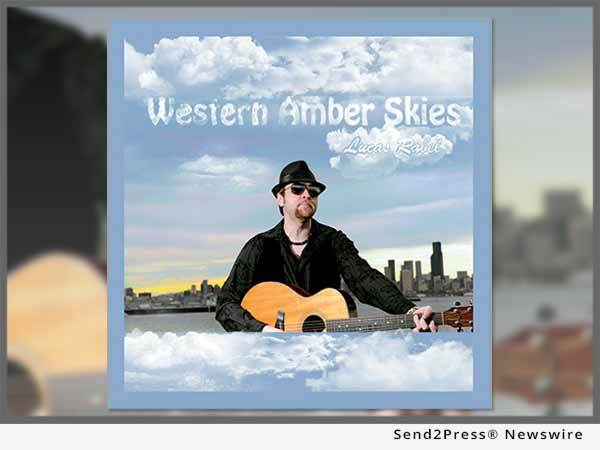 From “Western Amber Skies,” comes 10 songs that are a great showcase of Rabel’s talent. The artist’s voice has a mellow and genuine, friendly sort of sound – the comforting sound of someone on your level, modest yet skillful in their performance, making the whole album much more accessible and easy to relate to. His music has a wonderful brightness – it brings about hope, positivity and calm. The overall output of “Western Amber Skies” is bold and uplifting, it soon becomes familiar, easy to relax to, easy to sing along to. Lucas’ voice has a familiarity fairly quickly, and his style of songwriting has an enjoyable and easy going nature to it, and the melodies that unfold work brilliantly.